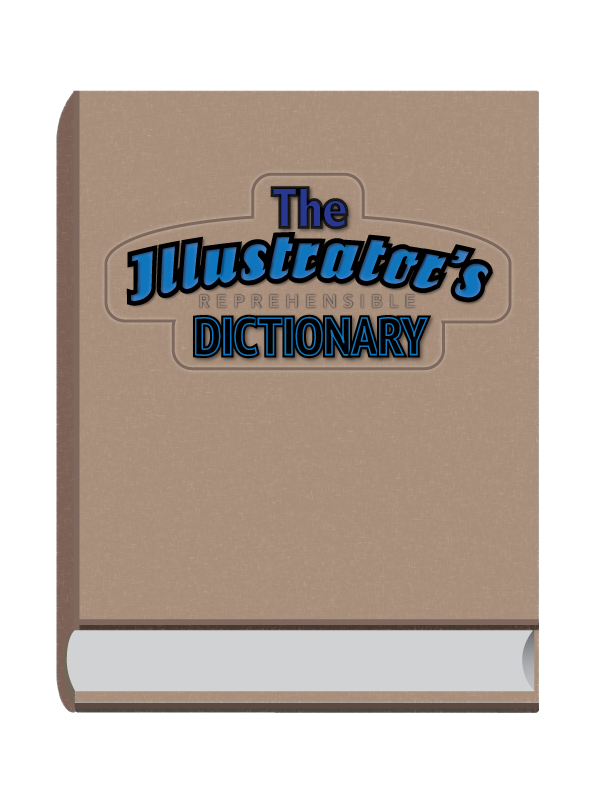 In celebration of more than 110,000 pageviews, The Informed Illustrator presents the Addendum to letter ‘C’ of The Illustrator’s Reprehensible Dictionary. 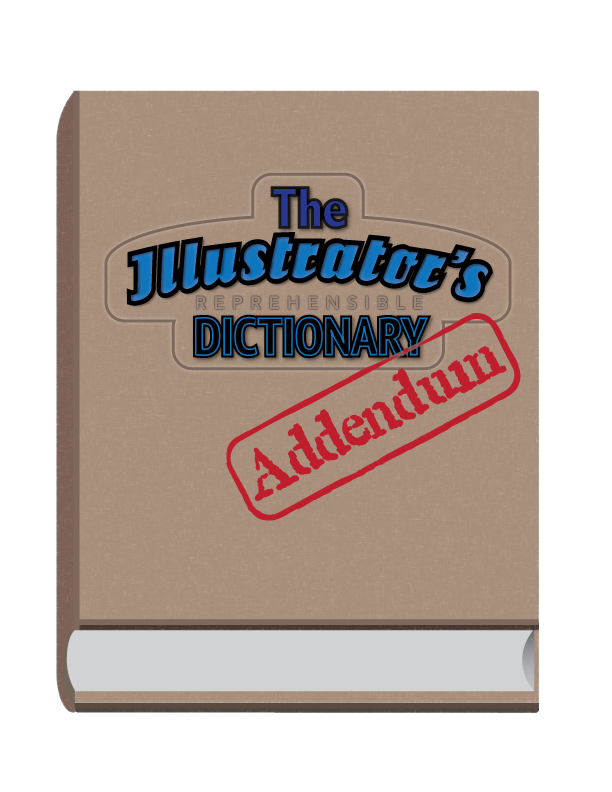 Actually, the addendum addresses several important word definitions that were omitted from the dictionary due to impatience on the part of the author to publish the third letter of the illustrator's alphabet. 3. the abbreviated form of om mani padme hum. 3. an indelible, greasy crayon not recommended for use by most rodeo clowns. 4. the same as pastels, but available in fatter sticks. 4. an emaciated, anorexic cattle marker (see Cattle Marker above). 11. a thing we use everyday without having the vaguest idea of how it works. 2. an art media with thousands of uses besides drawing, such as removing grease, lubricating zippers, improving the effectiveness of dental floss, removing hair on legs, exfoliating skin, preserving cheese, and sealing cork on wine bottles, to name a few. 7. a manner of speech where one’s foot is in one’s mouth. 4. an attempt to control an out of control situation. 5. a form of censorship. 4. a color that is available as printer’s ink or house paint, but not as acrylic or oil paint. The licensing of work produced for illustration commissions represents a significant income stream for illustrators. The terms of licensing and any associated fees for usage should be included on all illustration estimates and invoices. Providing a client with a separate broken out fee for licensing not only identifies licensing as a cost, it clarifies the client’s responsibilities concerning use of the illustration. Any usage restrictions, ownership of image, and status of image copyright should be stated and agreed upon. By doing this, and placing usage restrictions on an illustration, an illustrator can generate potential income, either by selling additional licensing for an illustration already created, or having a client reevaluate their usage needs for a illustration they are about to commission. Example 1: A client commissions an illustration for US only usage, but then decides to purchase licensing to include using the illustration internationally. Example 2: An illustration is created for a book cover and licensed for the first edition of the book. Sometime later the publisher decides to put out a second edition. Because the licensing was limited to the first edition, the publisher pays an additional fee for second edition licensing. Example 3: An illustration is created for an editorial article in a magazine with the usage restricted to the magazine only. The publisher decides they want to use the illustration in a promotional mailer to attract subscribers. For this non-publication usage the illustrator is paid another separate licensing fee. Most licensing that is purchased is for limited engagement situations like one time publications, single event promotions, time-sensitive advertising, situational marketing, etc. To accommodate a variety of circumstances surrounding a commission there are different types of limited licensing available. For some commissions a single limitation may be all that is necessary, while for others more than one limitation may be advisable. Situational licensing is appropriate when an illustration is commissioned for a specific limited purpose, such as for a non-recurring article in a periodical, a limited edition print run, a single event, etc. Example 4: An illustration is commissioned for a corporate brochure with a limited print run of 5000 copies. A separate licensing fee would be required for a reprint of additional copies. Another common form of licensing comes in the form of a time based limitation. Here usage is restricted to a period of time rather than by situation. Example 5: An illustration produced for a magazine advertisement is limited to one year of use from the date of first publication. Although limited by time, the ad with the illustration can be placed in any number of publications for one year. An extension of the time period beyond one year would require another licensing fee. Licensing can be restricted by location. Domestic US, regional, and international, usage are most common, but licensing can also be even more restrictive such as to a specific market. Example 6: An illustration commissioned for a national fast food chain is restricted exclusively to its Texas market. If the company wishes to use the illustration in other markets, then an additional licensing fee will have to be paid. Although “unlimited licensing” may be an inaccurate term, it is nevertheless commonly used. It’s a misnomer because all licensing involves some form of restriction, otherwise it wouldn’t be considered licensing. Unlimited licensing can be restricted or non-restricted. One form of unlimited restricted licensing concerns a prohibition on commercial usage. This restriction would also exclude non-profit usage except where otherwise noted in the terms of licensing. 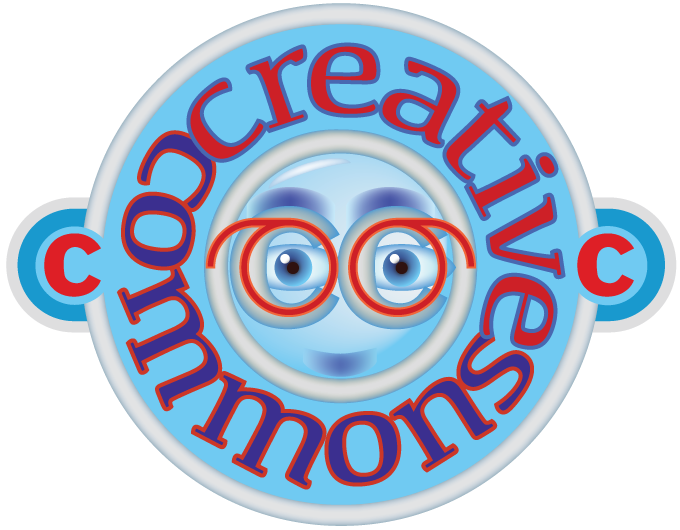 Example 7: An illustrator lists an illustration with Creative Commons, a licensing registry and grants usage for any personal non-commercial purpose (CC BY-NC), such as on a birthday party invitation, or even a tattoo. Another type of unrestricted licensing pertains to unlimited usage for a single purpose. It may be for usage in a specific media, by an individual company, for a certain event, etc. Example 8: An illustrator grants permission for a non-profit organization to use an illustration created for an annual fundraising event for any purpose connected with the event now and in the future. An unrestricted licensing agreement is often confused with buyout licensing and copyright transfer, but there is a very distinct difference between them. An unrestricted license grants unlimited usage to a client without restricting usage by the illustrator. The illustrator retains ownership of the copyright and has the right to remarket the illustration to another client and use it for self-promotion. Example 9: An international pharmaceutical company commissioned an illustration with unrestricted usage. In this instance they can use the image worldwide, on any media, and for any length of time for their own product or promotion. And depending on the licensing arrangement they may even be able to produce derivative images from the original illustration, but they cannot resell the illustration to another company or restrict the illustrator from using it for another purpose such as selling the image to another company. A buyout is a similar to unrestricted licensing, but with one very important distinction. It allows a client to have the same privileges as an unrestricted license while prohibiting the illustrator from utilizing the image for another non-personal purpose. Also the client cannot resell the illustration to another company, nor can the illustrator. Derivative images may or may not be permissible depending on the licensing arrangement. With a buyout, the illustrator still retains the right of image ownership and may use the image for self-promotion. Example 10: An illustration is commissioned and licensed for buyout. The image can be used by, and becomes exclusive to, the client for any purpose with no time limit. The illustrator may not remarket the image, but can use the image for self -promotion. Upon completion of a copyright transfer a client assumes title and proprietorship of an illustration. The new owner may resell the illustration, alter or create derivative images based on it, license the image, and transfer copyright. A transfer of copyright denotes a total surrender of image ownership and all image rights. The illustrator does not receive accreditation for the image and may not use the image for any purpose, even self-promotion without permission of the owner. 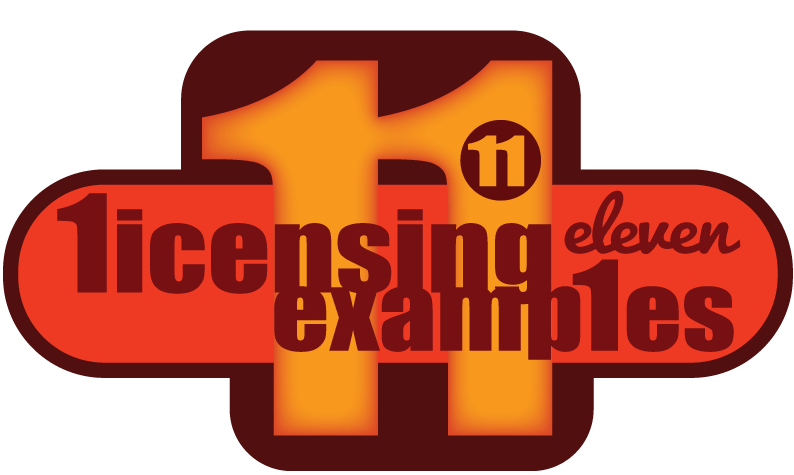 Example 11: An illustrator agrees to a copyright transfer of an image created for another purpose to a third-party company for a lucrative fee. The company purchasing the illustration turns it into a branding element on clothing and other types of merchandise resulting in millions of dollars of revenue. The illustrator receives no accreditation from the exposure or remuneration from the profits enjoyed by the image copyright owner. The end.